Antonio Fargas Perhaps one of Hollywood’s best-kept secrets is that character actor Antonio Fargas — an originator of the over-the-top, wide-hatted platform-shoed pimp that is now a Hollywood staple — wears English brogues. 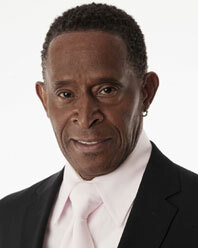 Best known for his role as the lovable street hustler Huggy Bear in the 1970s TV series “Starsky & Hutch,” Fargas went on to appear in many blaxploitation films including the classic “Shaft,” “I’m Gonna Git You Sucka” and “Car Wash.” His career has spanned more than 40 years, including a host of roles in film, on stage and on television, including “Everybody Hates Chris.” Whether nailing outrageously comedic characters or giving a chilling rendition of an old witch doctor in the Broadway play “The Great White Hope,” his performances have won critical and popular acclaim. Fargas, who graduated from Manhattan’s HS of Fashion Industries in 1965, sang the original alma mater by heart at an alumni event in May that raised close to $10,000 for a scholarship fund established in his name. Now Fargas gives the New York Teacher the exclusive scoop on just who he was emulating when he started wearing English brogues. I was one of 11 kids, the son of a sanitation worker, born in the Bronx. We moved to the Chelsea-Elliot Houses in Manhattan, where I went to Catholic school. When it was time for high school, either my grades weren’t good enough or I was overreaching, but I couldn’t get into parochial high school. I decided to go to a trade school and somehow I gravitated toward the HS of Fashion Industries. It was right near me, and I’d always been intrigued by style and color. In addition to finding a family of misfits who thought differently as I had in show business — by my sophomore year I got a role in the film “Cool World” — I found that kind of family at school, a place where people took chances. I could wear an outfit and get out of myself. That’s what I found in theater and what I found in the high school community of people who, at an early age, chose alternative lifestyles and were accepted by their teachers for their eccentricities. It was a great, nurturing place for an artist. It was the ’60s, a great time for dressing up and being in character, for putting together your own style from all the boutiques. That’s what I did in the characters I played and in life. I took risks, but also felt very safe in that community. My acting teacher, Mr. Rosevich, had a tremendous impact on me. He was very much a supporter of my talent and my search. In hindsight I could feel he understood where actors were coming from and the lifestyle we chose. He was also a good teacher because a lot of artists lack discipline and it was good to be able to accept from him the discipline of the craft. My history teacher, Mr. Uberman, was just the most impeccable dresser and was a sort of hero in terms of style and cool. I was very impressed with his cool, with how he put together a gentleman’s wardrobe. I don’t know how he did it on a teacher’s salary but he did it! Mr. Alpert, who taught pattern making, was a tough teacher. He knew his craft and was very particular; he knew that the guys who could lay out the pattern right using as little fabric as possible were the ones who got the jobs. In addition to having expertise, all the teachers were characters with different quirks, and I recognize today that the underlying feeling was that they cared about young people; they cared about me. Mr. Blessing was the algebra teacher. He was kind of a nerd. He wore tight tailored suits and squeaky English brogues. He showed me about dressing like a gentleman. Not only dressing like one but becoming one was a driving force within me. I know that’s why I wear brogues to this day! Now I’m giving back, working on literacy projects and with young people in theater and film. I’ve found that life is the best production of all. Teachers then and today have that altruistic mechanism. There’s not a lot of appreciation for the work done but they have to know they’ve done well by the people who come and say thank you to them. I say thank you to all those teachers who nurtured me and gave all they could.